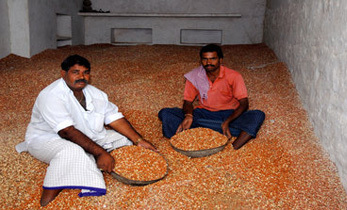 With market demand for certain traits of groundnut on the rise, the GNG-A is expected to be a platform for product design, efficient breeding strategies, partnerships for site testing and adoption by farmers as well as for continuous exchange of knowledge and capacity building. 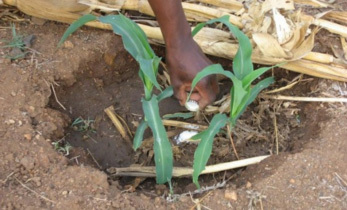 During the meeting, techniques and advances in phenotyping for seed quality traits, methods to characterize environments for products to adapt to, use of effective storage methods and more were discussed. The key takeaway of this meet was the unanimous agreement among the participants that building convergence for a greater impact on breeding was of highest priority, and this could be best achieved by pooling knowledge, resources and efforts. 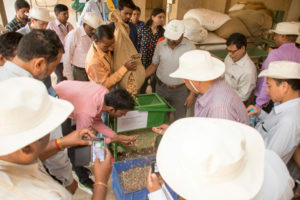 It was also a unique opportunity for groundnut researchers from the Asian region to discuss challenges such as requirement for advanced breeding lines with key traits (disease resistance, high oleic acid, fresh seed dormancy), need for farm machines (battery-operated sheller, single plant thresher) and the requisite training and capacity-building of technicians and students. The group worked on development of product designs for target ecologies in the six groundnut growing counties. Besides, a set of activities and/or innovations identified by the collaborators will be implemented in their respective programs, and progress will be reported at the next meeting. 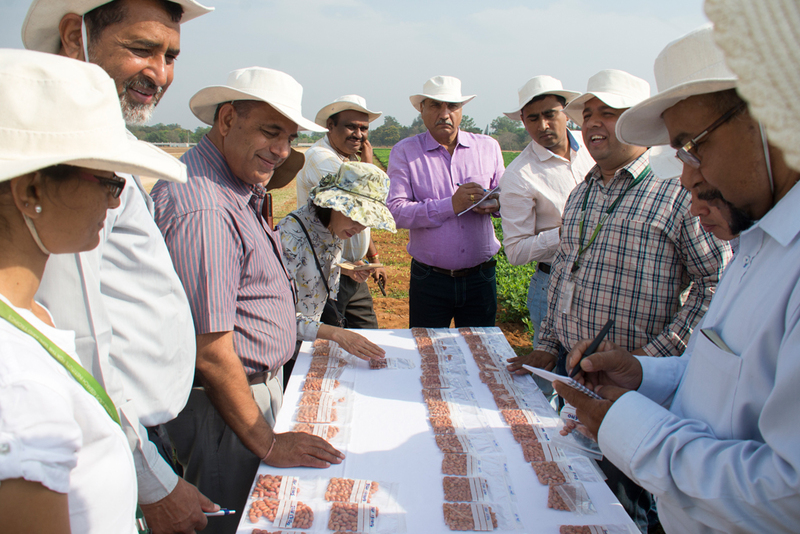 Dr. P. Janila, Principal Groundnut Breeder, ICRISAT, was hopeful that the group will help concentrate the efforts to develop and disseminate varieties with desirable, market-friendly traits that can improve nutrition and enhance incomes in the Asian countries. Dr. Maw Maw Naing, Groundnut Breeder from Myanmar, noted the systematic field layouts and experimental designs at ICRISAT and said that she intended to replicate the same in her home country. 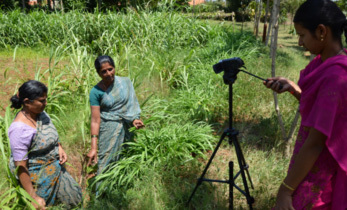 Dr. Radhakrishnan, Director, of ICAR-Directorate of Groundnut Research, emphasized the need for assessing genetic gain and urged researchers to use the GNG-A platform to exchange their experiences and feedback. 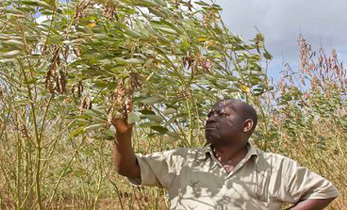 For more information on ICRISAT’s work done on groundnut, click here. Project: Enhancing groundnut productivity and profitability for smallholder farmers in Asia through varietal technologies. 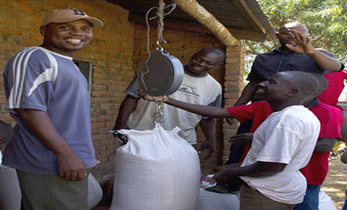 Funder: OPEC Fund for International Development (OFID). 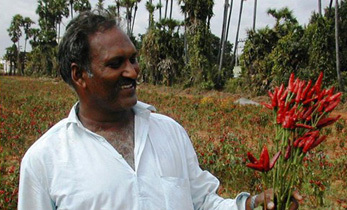 Participating Institutions: Acharya NG Ranga Agricultural University (ANGRAU); Bangladesh Agricultural Research Institute (BARI); Chaudhary Charan Singh Haryana Agricultural University (CCSHAU); Department of Agricultural Research (DAR); Directorate of Groundnut Research (DGR); Field Crop Research & Development Institute (FCRDI); Field Crops Research Institute (FCRI), Vietnam Academy of Agriculture Sciences (VAAS); Food Crops Institute (FCI), Vietnam Academy of Agriculture Sciences (VAAS); Indira Gandhi Krishi Vishwavidyalaya (IGKV); Institute of Biotechnology (IB), Hue University (HU); International Rice Research Institute (IRRI); Junagadh Agricultural University (JAU); Mahatma Phule Krishi Vidyapeeth (MPKV); Maize and Cash Crop Research Center (MCCRC), National Agriculture and Forestry Research Institute (NAFRI); Professor Jayashankar Telangana State Agricultural University (PJTSAU); Punjab Agricultural University (PAU); Rajmata Vijayaraje Scindia Krishi Vishwavidyalaya (RVSKVV); Research Institute for Oil and Oil Plants (IOOP); Sri Karan Narendra Agriculture University (SKNAU); Swami Keshwanand Rajasthan Agricultural University (SKRAU); Tamil Nadu Agricultural University (TNAU); University of Agricultural Science – Raichur (UAS-R); University of Agricultural Sciences – Dharwad (UAS-D).